2018/06/08 >> Little Duckie in our pool. Came home from dinner and she was gone. Hope it was mama duck who came and got her. 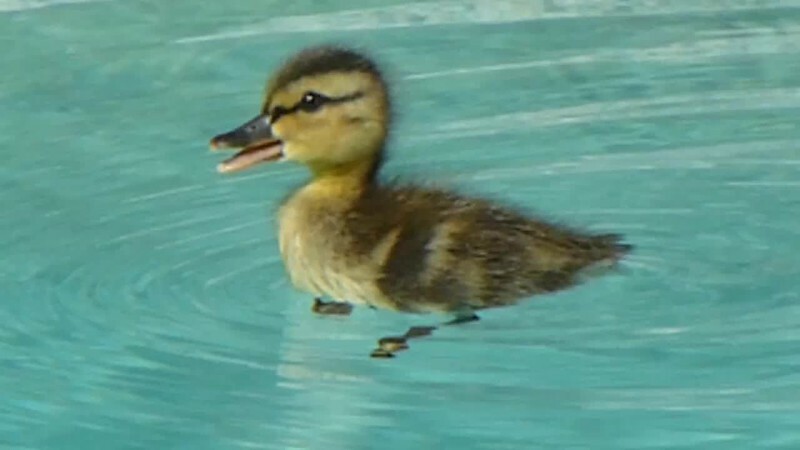 2018/06/08 Little Duckie was swimming in our pool. She looked tired, so I put the blue swim board out, so she could climb on it to rest. Came home from dinner and she was gone. Hope it was mama duck who came and got her.